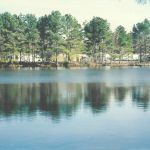 Ask fellow campers about "Lone Star Lakes RV Park" and nearby attractions. We have stayed at this park many times over the years. Although new parks are springing up allover this park keeps it's rates near the best in the area, yet keeps park extremely clean and well maintained. Family owned and managed, three members in the park all the time assuring RVers are treated right. We camped at Lone Star Lakes RV Park in a Motorhome. Just a nice, friendly helpful atmosphere with many, many mature trees, which is absolutely important in South Texas in the summer. Great management, very helpful, very nice club house and restrooms and showers, walking through the park was nice, nothing we would change. Worth every penny spent. Will stay there again. We camped at Lone Star Lakes RV Park in a Travel Trailer. Close to shopping, Wall Mart, Sam's Club, Shipley Donuts, many restaurant's, other stores. Great location. We truly enjoyed our stay at this park - we're full time RV'ers so we know we know a good park when we find one! We found the owners were onsite & very involved in making sure we were happy - we had a problem hooking up to TV & once we contacted the office they had someone help us immediately. Turned out our cable was bad so they loaned us another. No problem after that. WiFi was strong & there was plenty of room on our pull thru site for our 40' motor home towing our SUV. Love everything about this park including the ducks! We thought we were only going to stay four nights but ended up needing a fifth night for which the office was very accommodating. The pool has been refurbished & looks very nice. 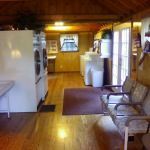 The laundry room was the cleanest we've used & even had an area to sit & read a magazine or a book while we waited for clothes to wash/dry. We'll definitely be back soon & have highly recommended this park to others! We camped at Lone Star Lakes RV Park in a Motorhome. Close to Kingwood & Humble - we had family both places. Also an easy drive to Galveston. Dreadful little campground. Small, tight roads, dated, unreliable facilities. Green swimming pool, dead branches falling on our rig in a light breeze. Ducks EVERYWHERE, poop, feathers, and well..."multiplying", shall we say. Our neighbor's sewer backed up while he was dumping his tanks, while we sat outside. WiFi was utterly nonexistent, and satellite cable went out at the drop of a hat. We disconnected in the end and used our own satellite (which never went out). Algae bloom issue in the pond which smelled horrible. Surly security guard, unfriendly maintenance, no attention to detail. I should have realized it was not the place for us when I saw the website and the way they have posted all their park rules. We camped at Lone Star Lakes RV Park in a Travel Trailer. Photos are outdated on website. Bathrooms had mold in them. Pool has broken tiles. Can't walk outside TT without ducks being in your site, they poop on everything. Nothing in rec room worked or had correct items needed to play, and overall up keep was low. Manager was lazy and rude. We camped at Lone Star Lakes RV Park in a Travel Trailer. A little hard to get to with all the construction going on but worth it. It appears that the park is older but well kept in a forest setting. The sites are close together and most pull thru. Lost of full timers here. It would be nice if they put full timers together, they have more in common with each other (work mode) than the likes of us who are on the road traveling and having a good time. Lots of grass and trees surrounding the park. Little if any road noise. Would stay here again. We camped at Lone Star Lakes RV Park in a Motorhome. Nice place to stay that is out of the Houston congestion. The exit, because of the freeway construction, is a bit tough. We have stayed here more than once. The staff is very friendly, the park is clean. Lots of full time residents, but that did not bother us. Park is old, but well kept. We camped at Lone Star Lakes RV Park in a Motorhome. We stayed here for two weeks to take care of family business in Houston. The park was nice enough, clean with a lot of shade trees. This is an older park with mostly permanent residents. The spaces are very, very tight. We could not walk around our RV without walking in our neighbors space. The sewer hookup was elevated about 10 inches above ground and very hard to use. The Wi-Fi was mostly non-existent. We might stay here again in a pinch. The nightly rate reflect is weekly. We camped at Lone Star Lakes RV Park in a Fifth Wheel. We stayed in this park for 1 week. I can't recommend it other than maybe an emergency overnight. It is a park for residents who live there full time and haven't moved their RV's in years. The sites are very close together. It is a very noisy park with lots of children riding bikes and playing at all hours. If you like trees, there are lots of trees. 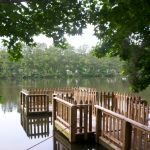 There is a lake for fishing. There are cats everywhere. You have to get a box to get cable TV. The WI-FI was good. There is a tiny pool that was not open. The management was not very efficient. We had a reservation and a confirmation email but when we got to the park at 1:00 on a Saturday afternoon, the office was closed. When we were finally able to reach someone, they had no record of our reservation. We camped at Lone Star Lakes RV Park in a Motorhome. We stayed here for a week while visiting Humble. 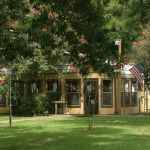 It is very close to Humble and Kingwood, but you have the country feel. The sites are huge and roomy. This is a family run park and they take pride in the park and how nice it is. The park has a small lake you can fish from and ducks that roam. Our kids loved feeding the ducks and being able to run around at the playground and nature trails. They also have a huge, nice rec room. Laundry room was spotless and roomy with a book exchange, magazine area, and movie exchange. Park is quiet and very clean. Wi-fi worked well. I would definitely recommend this park in the hotter weather with all of the shade trees. If you ever have any questions the people are friendly and helpful. It is just a few minutes to the grocery store and shopping. We do not have 1 bad thing to say about this park. We camped at Lone Star Lakes RV Park in a Fifth Wheel. This park is green, clean, safe and more reasonably priced than other parks in the area. They allow free fishing on the lake and the owners respect nature. The parks rules are reasonable and the people who worked there were friendly and helpful when we had questions. 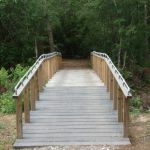 It is located near Kingwood, Texas and other populated subdivisions where some of our friends and family live. Walmart is just a few miles away as are restaurants and grocery stores. It was very hot but the large green trees kept us comfortable. This is a great park for the hot Texas summers. The red birds are feeding in the area and easy to spot. We walk for exercise and enjoyed being able to walk in the shade and through wooded trails. The swimming pool is clean with a nice laundry room and restroom showers nearby. I recommend this park anyone needing a clean, safe, reasonably priced RV park in the northeast area of Houston, Texas. We camped at Lone Star Lakes RV Park in a Motorhome. Good park with several things to do like fishing. Good TV and internet. Wood decks are a nice touch. One weird thing is that the office is closed most of Saturday and all day Sunday. But this is a good park to use for us to be near the Houston airport. We camped at Lone Star Lakes RV Park in a Motorhome. This is a nice small park. There are a lot of full timers, but this wasn't a problem. The pull-throughs are for the short timers and are very narrow, but nicely paved with picnic tables. Lots of trees and we would probably not stay here for an extended time, but was very pleasant for one night. We camped at Lone Star Lakes RV Park in a Fifth Wheel. $14 is Camp Club USA rate. Even for the regular rate this is a good park. The road width for turning is a bit tight for a large motorhome. Paved roads are nice, no dust. Space width was tight. I did have one concern, there was not a reservation for us when I showed up at the park and the office was closed. I did call ahead and was told a spot would be available. It was, and we hooked up, but nothing was reserved and the park was full a couple of hours after we got there. That could have been a big problem. The laundry space is spotless and very comfortable with chairs and reading material. We would definitely stay her again. We camped at Lone Star Lakes RV Park in a Motorhome. The kind of park we enjoy staying in. Starts with friendly people at registration and out in the park. Big shade trees, level sites, clean,quiet and secure. Cable TV included in rates, as is free Wi-Fi (that really works). Will definitely stay there on future trips to Houston area. We camped at Lone Star Lakes RV Park in a Fifth Wheel. 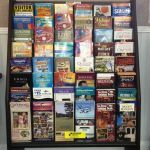 Are you affiliated with Lone Star Lakes RV Park ?